Goa government on Friday said the state vigilance department will investigate the alleged irregularities in the agreement entered into by the previous government with a private firm for generation of electricity using the coal from a mine in Chhattisgarh. Chief Minister Manohar Parrikar stated in the legislative assembly that there were certain "grey areas" in the deal between a private firm and the state-run Goa Industrial Development Corporation. "I will ask vigilance department to go into parameters of this deal. There are some grey areas. I knew about it. I have raised this issue in 2008. If something substantial is found, then we will act," Parrikar said, replying to a question by independent MLA Rohan Khaunte. "There are procedural errors, I am aware of them. But if I go into it now after investing Rs 600-1,000 crore, then it is us who are going to suffer because we will not get electricity," he said, adding that GIDC should not have been the agency to ink the deal. The Goa government has already signed an agreement with the private company which will get the coal from the block alloted to the state in Chhattisgarh, and supply 250 MW of power to Goa. 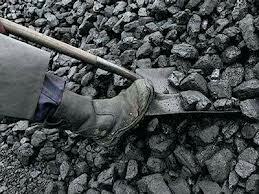 Parrikar said that Chhattisgarh government was yet to issue mining licence for the block. It would come within a month and Goa would start getting electricity from the private firm within the next two-three months, he said. It seems like the Goa Legislative Assembly now consists of too many " Ill-Educated Loudmouths" , a "Syndicate of criminals" and "Experts in the art of Mis-appropriation".